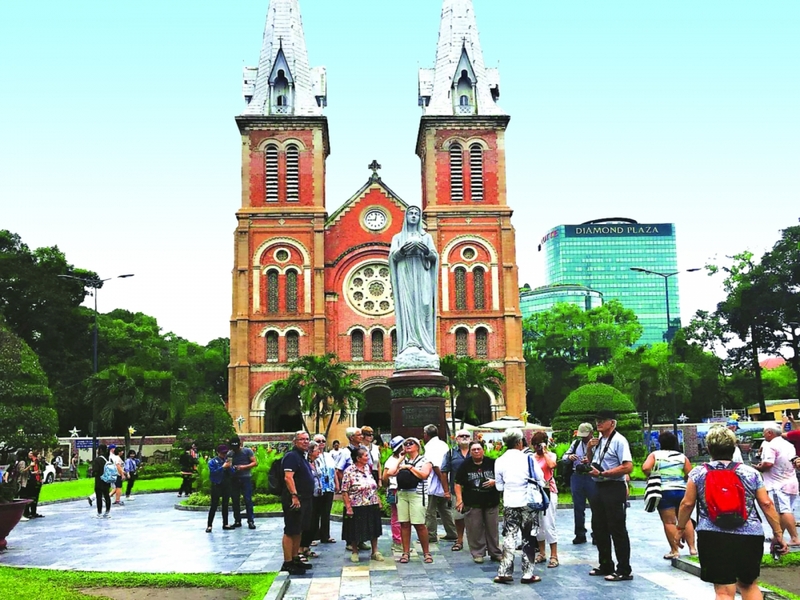 Data from the Vietnam National Administration of Tourism (VNAT) show that Vietnam welcomed a record high 15.6 million foreign visitors in 2018, up 19.9 percent or 2.6 million people from 2016. Some 12.5 million people arrived by air (up 14.4 percent), 2.8 million visitors came over land (up 59.6 percent), and 215,300 tourists arrived on cruise ships (down 16.8 percent). More than 12.07 million of the visitors were from Asian countries (up 23.7 percent), 2.04 million visitors from Europe (up 8.1 percent), 903,800 visitors from America (up 10.6 percent), and 42,800 visitors from Africa (up 19.2 percent). Minister of Culture, Sports and Tourism Nguyen Ngoc Thien said the impressive tourism achievements are attributed to Vietnam’s tourism promotion policies and activities in such major markets as Australia, Japan, Europe, Thailand, Malaysia, and Indonesia. Other factors include visa exemptions for visitors from Western European countries from 2018-2021, electronic visa or e-visa for visitors from 40 countries and territories, participation in international tourism fairs, and visits by tourist market survey delegations. 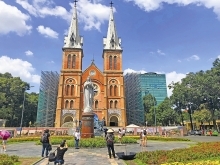 Investment in infrastructure, including large international-standard projects by strategic investors, has contributed greatly to improving the image, quality and competitiveness of Vietnamese tourism. 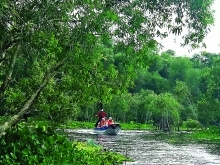 The development of tourist offerings and consistent, planned investment attraction have contributed to the formation of tourist development zones including Hanoi - Quang Ninh - Hai Phong - Ninh Binh; Thua Thien Hue - Da Nang - Quang Nam; Khanh Hoa - Lam Dong; and Binh Thuan - Ba Ria-Vung Tau - Ho Chi Minh City. 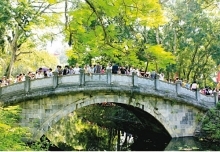 Hanoi, Ho Chi Minh City, the central coastal city of Da Nang, the northeastern province of Quang Ninh, and the southern central province of Khanh Hoa have become major tourist centers. The sector has strengthened public-private partnerships to expand the scale of Vietnamese pavilions at international fairs while coordinating with diplomatic organizations to stimulate tourism promotion in foreign countries. Vietnam ranked sixth in the world in terms of visitor growth in 2017 and was named Asia’s Leading Destination for the first time by the World Travel Awards (WTA) in 2018. The Asia-Pacific association of tourist journalists named Vietnam a newly emerging destination for luxury tourism, while the country has become the most attractive golf tourist destination in the Asia-Pacific region. Future plans call for further improvement of tourism promotion activities at home and abroad, development of tourist offerings with a high added value, such as marine, cultural and ecological attractions. Minister Thien is directing the industry to strengthen the management of tourist service facilities to improve the image and competitiveness of Vietnam’s tourism. and serving 82 million domestic tourists by 2020.